Have you been considering buying a minivan? Do you want one that has a lot of beautiful features? If you are looking for Chrysler Dealerships Indiana, then come by and see us at Acra Auto where you will find a lot of fantastic deals on used minivans such as the Chrysler Town & Country. Whether you are looking for new or used vehicles, we have a large selection of cars, trucks, and minivans for sale and with so many choices and variety you will be sure to find what you are looking for right here at our dealership at Acra Auto. If you have visited other used car dealerships in indiana in the past searching for the car you want, did you find that the quality of vehicles was poor and the selection was few? Did you leave disappointed? You dont have to worry about that here at Acra Auto. We have such a wide variety of vehicles, new and used for you to see, and the quality of our used cars won't leave you disappointed and If its time to find the car of your dreams then its time for you to come to Acra Auto to see it. 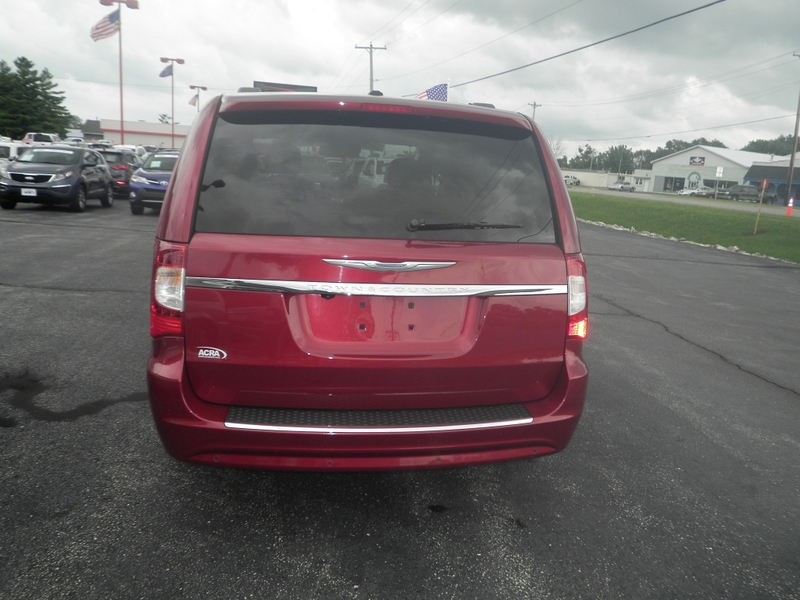 We have in our inventory here at our dealership a chrysler town and country for sale, which is a 2015 Chrysler Town & Country minivan, and it comes equipped with a lot of beautiful features and options. If that is what you are looking for in a used van, then that is what you will receive in this wonderfully used minivan here at Acra Auto. You will find such options and features like Leather Seats, Heated Seats, A DVD/Entertainment PKG, a CD Player, Satellite Radio, a Backup Camera, Rear Parking Aid, Blind Spot Monitoring, Integrated Turn Signal Mirrors. There is also Automatic Climate Control, Rear Heat / AC, Remote Engine Start, Daytime Running Lights, Heated Mirrors, Fog Lights, Bluetooth Connection, Flexible Fuel Capability, Electronic Messaging Assistance, Steering Wheel Controls and so much more that's included in this 2015 Chrysler Town & Country. If you are interested in taking a look at it, come by our dealership here at Acra Auto and ask to take a look at this beautiful and loaded with features minivan we have for sale. Whether or not you want a minivan, if you're going to find chrysler dealers indianapolis, where you can see a large selection of chrysler cars that is what you will find here at Acra Auto. 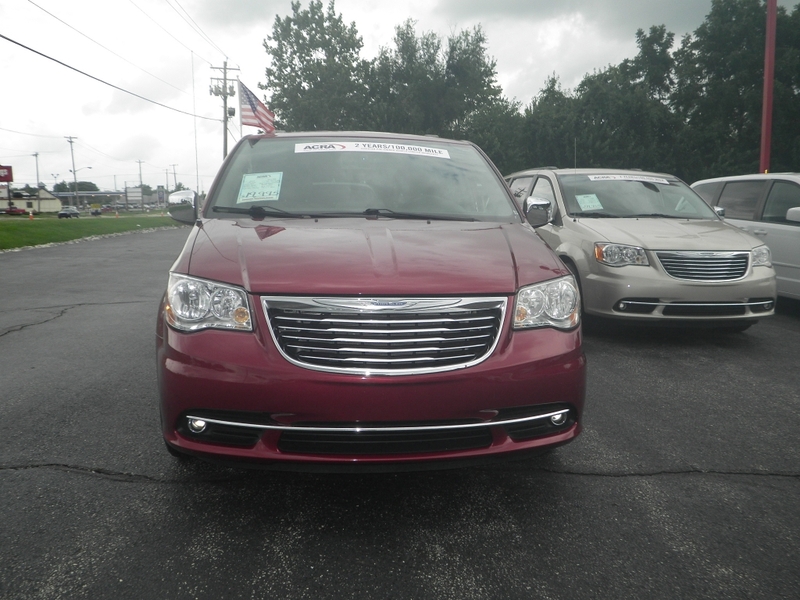 We have many models of the chrysler brand vehicles for you to see and have a choice. Dont want a chrysler, that's okay, we have many makes and models of vehicles for you here because having choices is what car shopping is all about? Whether its a family car or something smaller and more economical, you will see that we have a lot of variety at our dealership here at Acra Auto. So if you want to find indiana car sales that have new and used cars, come by and see us and take a look around. You will be happy that you stopped by.